What Does It Feel Like To Get Shot? 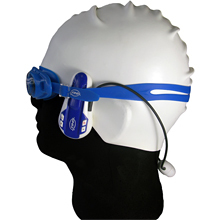 This underwater MP3 player allows you to listen to music by using bone conduction to transmit sound waves. The sound waves travel from the cheek bones to the inner ear which provides sound clarity.